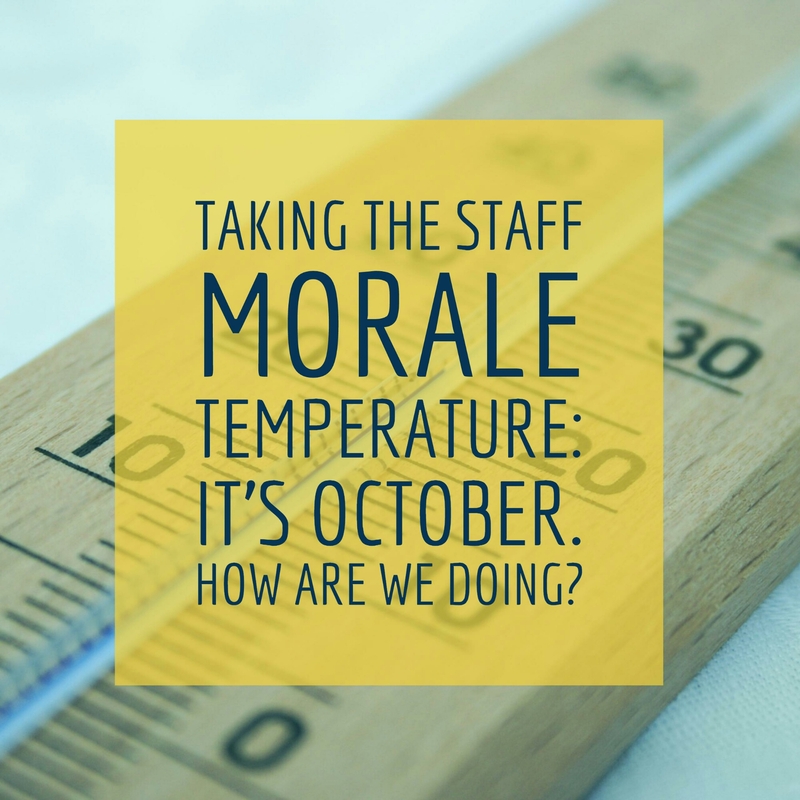 Taking the Staff Morale Temperature: It’s October. How are we doing? – Lead. Learn. Grow. Taking the Temperature: It’s October. How are we doing? I was at a workshop yesterday, and we were having a conversation about the fact that being an educator is one of the hardest professions out there. There are so many facets to the job. It’s more than kids (though they are the most important factor) but it’s parents, and community, and curriculum, and assessment, and grading, and so much more! The list could go on and on. Knowing that education is a challenging profession, what are we doing to ensure that our teachers feel appreciated? How are we ensuring that their morale isn’t diminished before the end of the year? How are we creating a culture and climate in our building that is positive, supportive, and conducive to learning and growing at all levels? Those are heavy questions with heavy implications and there are no easy answers or fixes. However, we have been doing some things to try and take the temperature of our team and to ensure that we keep pushing ourselves and our students toward excellence and finishing strong!